Experience the ultimate in taste sensation at The Third Eye, Tuatara’s Temple of Taste. Tuatara say it’s their higher calling to exalt the enlightened word of good craft beer. Tuatara varieties range from Classic, New World, Belgium and Seasonal. Your tasting tray may be built to your liking (*based on availability). 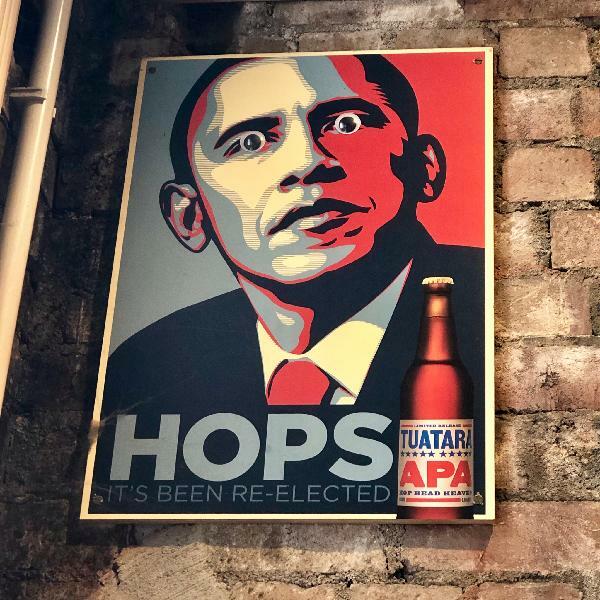 Talk to your Tuatara expert behind the taps, discover what’s new in their range and what they are brewing onsite - this is a working brewery after all! Your tasting tray includes 4 beer varieties. Please Note: Strictly 18 years and over. Best tasting beers!!! A must try bar in Welly! Great knowledge by crew and cosy lil brewery! It's a small lil brewery with sparse seatings. Nicely done up place. I like that they had black and white photos of the brewers/crew - gives it a nostalgic feeling. Okay, first up with the available brews: they crew at the bar went through the beer on taps and was in no hurry for us choose our 8 choices. He was even patient enough to advise based on our preference. Even told us which is guest beer and its origin etc. Great beer and excellent service! Worked with the bartender to pick some beer for my tasting tray and it was all delicious! Not sure if all the beer is fantastic here or if the bartender just did a superb job of picking my beer for me but I was very happy about the experience! Would highly recommend! Had a nice chat with the bar tender and the recommended beers taste delicious! 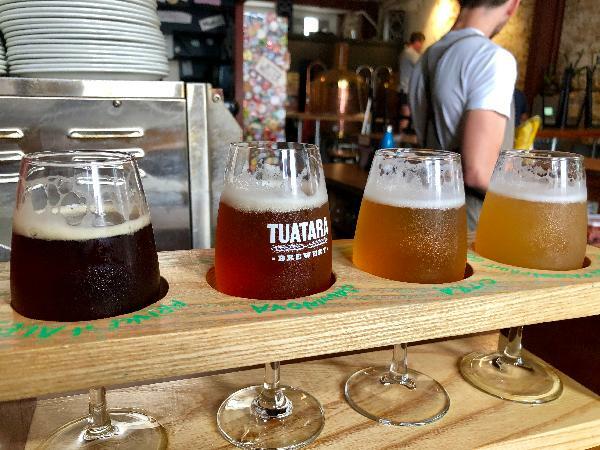 Your message has been sent to Tuatara Brewing Co - Tasting Tray. You should hear from them shortly. Please note: all responses will come directly from Tuatara Brewing Co - Tasting Tray, and not the team at Bookme.